Are you curious about topics related to dying, death, and what comes next like after-death communication and mediums? 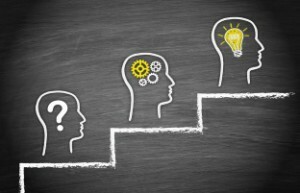 Are you interested in information on those topics that you can use in your own life? Then you are in the right place! Visit: Share The Care It’s a system used by caregivers and their friends, neighbors, co-workers, and acquaintances that lets everyone share responsibilities. The simple, easy-to-follow system includes seven guiding principles and 23 forms to help create and maintain a caregiver network. More interviews with Windbridge Research Center investigators are available by clicking here. 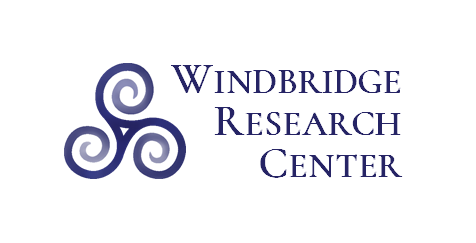 The mission of The Windbridge Research Center is to ease suffering around dying, death, and what comes next by performing rigorous scientific research and sharing the results and other customized content with practitioners, clinicians, scientists, and the general public. Currently, our research mainly focuses on people who report experiencing regular communication with the deceased (mediums) and those who receive mediumship readings (sitters). Specifically, we are interested the accuracy of the information mediums report, how the mediumship process works (both psychologically and physiologically), and the application of mediumship to healthcare and other areas. Practically: Our research has applications in healthcare, palliative care, and grief management. Socially: Evidence collected during our studies may shape public policy and the justice system. Culturally: Our modern society tends to rely on science as an authority. Academically: Our findings speak directly to the nature of consciousness. The uncommon is more common than you might think A spiritually transformative experience (STE) is defined as a personal event that causes a person to perceive themselves and the world in a profoundly different way resulting in a change in their values, priorities, or life purpose. One class of STEs, known as after-death communication (ADC), has been reported by roughly one-third of the US population. So, while these events may be outside of one’s everyday experience, they are, in fact, part of the normal human condition. See the introduction in this article for more information and references. What have we learned? A lot! Read a detailed description of our research methods and findings by Windbridge Research Center Director of Research Dr. Julie Beischel here. In addition, we have put together a (growing!) selection of short, non-technical, downloadable Fact Sheets. You can find these here. Of course, if you are interested in all the details, you can also access the full text of many of our peer-reviewed scientific papers here as well. About the Research Mediums During the majority of our research to date, we have been working with a team of pre-screened and tested mediums known as Windbridge Certified Research Mediums (WCRMs). Before participating in research at the Windbridge Research Center, each research medium completed an intensive 8-step screening and training procedure. Upon successful completion of the procedure, each WCRM agrees to donate a minimum of four hours per month to assist in various aspects of the research, to uphold a code of spiritual ethics, to embrace a strong commitment to the values of scientific mediumship research, and to abide by specific Windbridge Research Center standards of conduct. About 25% of the mediums who attempted the procedure failed to achieve passing accuracy scores and many mediums self-selected to opt out of the screening once they fully understood the protocol and required on-going commitment to the project. A list of current WCRMs can be found HERE. The WCRM program was funded by a research grant and that grant has ended. We are no longer certifying new WCRMs. Newer research has included a wider range of mediums and a prescreen process was not required. To stay up-to-date on this and other research projects and Center news, be sure to join our email list. Our Research Methods For general descriptions of studies with mediums at the Windbridge Research Center, you can check out this video of our Director of Research, Dr. Julie Beischel, speaking at the 2009 Society for Scientific Exploration meeting (she was Director of Research at the Windbridge Institute at the time; the Center has continued these areas of research). Important Information As we are not clinicians, if you are experiencing any physical or mental distress, please consult a licensed healthcare provider. Always consult with your a licensed healthcare provider while you are considering treatment options. We cannot recommend a specific medium for you. For tips on choosing a medium, see the “Recommendations for Sitters” fact sheet. ACISTE http://aciste.org/ The American Center for the Integration of Spiritually Transformative Experiences (ACISTE, pronounced ‘assist’) was “established to support people who have had spiritually transformative experiences (STEs).” They offer: competency guidelines for professionals working with clients who may present issues related to their STEs; education, training, and certification to professionals who want to provide support for experiencers; a directory of professionals certified by ACISTE; and free online and regional support and discussion groups for individuals who’ve had STEs. Share The Care https://sharethecare.org/ Since 1995, Share The Care has worked to perfect a guidebook and resource used by caregivers and their friends, neighbors, co-workers and acquaintances as a loving, pragmatic approach to caregiving that can succeed no matter what the challenge. It’s a system that lets everyone share responsibilities, creates a strong support network among the individual caregivers and leads to making a profound difference in someone’s life. The simple, easy-to-follow system includes seven guiding principles and 23 forms to help create and maintain a caregiver network. 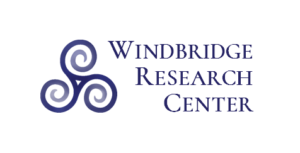 Interested in participating in a Windbridge Research Center study? Please click here to see the current projects.